As I was walking out the door, I bumped into Bipolar and his wife, Lois; we exchanged greetings and Bipolar offered to give me a ride back to the Motel 6. I told him, “Thanks,” but I first wanted to grab a bite to eat at the McDonald's next door. However, I told him if he would be willing to take my resupply box back to my room, while there he and his wife were welcome to take a shower. (Bipolar and his wife were camping out.) He agreed and we met later at the McDonald's Restaurant, where he gave me back my room key. South Lake Tahoe was a very busy tourist town with many motels, condos, restaurants, grocery stores, and equipment rental business for water sports, i.e., jet skis, water skis, etc. The beaches were crowded with young adults and parents with children, and the traffic along the main drag – Highway 50, was clogged with pickup trucks towing boat trailers, with or without boats, and pedestrians – mostly twentyish kids in swimming attire going to and from their vehicles parked alongside of the road. Sorting through my resupply box was routine now; I emptied the contents on the bed and make rows of food items corresponding to the number of days I expected to be on the trail until my next resupply drop. If it were seven days, then I made seven rows, placing the dinner packets at the top of the row, followed by lunch and breakfast packets; then I allocated the snacks to each row, making sure the quantities were equal for each day. I always seem to end up with more food than I needed for the next section of hiking, so rather than throw the food away, if there were a hiker box available, I would put the food in the box, and if not, I left it on top of the room table, in hopes the cleaning maids would see it as valuable food and take it rather than dumping it in the garbage. There was a grocery store across the street from my motel, and I went there several times to buy comfort food – cookies, milk, chocolate pudding, as well as food items I may need for the journey – tortillas, peanut butter and/or jam, cans of Spam. I found a piece of cardboard and made my sign for tomorrow morning’s hitchhike out of town. It read, Echo Lake Resort. I was heading back to the same place I had exited the trail yesterday. I was anxious to be on my way, so at four in the morning I was up and moving, and by five began my roadwalk back to the highway junction leading out of town. I arrived at the junction at 5:30 a.m., with hopes of making some last-minute purchases at a large supermarket, however, they didn’t open until six - so much for my early start. I waited patiently in front of the store, watching employees arrive as well as vendors carrying in food stuffs, and the occasional early morning customer who was looking for fresh donuts and their morning coffee. When the doors finally opened, I entered, quickly found what I needed, plus a cheese-covered bagel for breakfast, paid for my purchases and went back to the highway, where I hoisted my sign and stuck out my thumb. It would be two and a half hours before I would get a ride, the longest I ever had to wait. The ride that stopped for me was a young lady driving a Mini Cooper that was crammed full of stuff from her college dorm. She was headed home to the Bay Area from her school. I’m six foot three and don’t normally fit in a Mini Cooper, but I wasn’t about to turn down this ride. The young girl moved her belongings from off the passenger seat, I stooped and folded myself into the tiny compartment comprising the passenger seat and held my backpack on my lap, and away we went. She was a very nice girl and quick with conversation; it always intrigued me why a single girl traveling alone, and in this case driving a tiny car already filled to the ceiling with personal belongings, would stop and offer a total stranger, even a male, a ride. When I asked her this question, she said she just felt impressed to do so. I wasn’t about to argue with that answer, and just chalked it up to another tender mercy shown to me by my Heavenly Father. 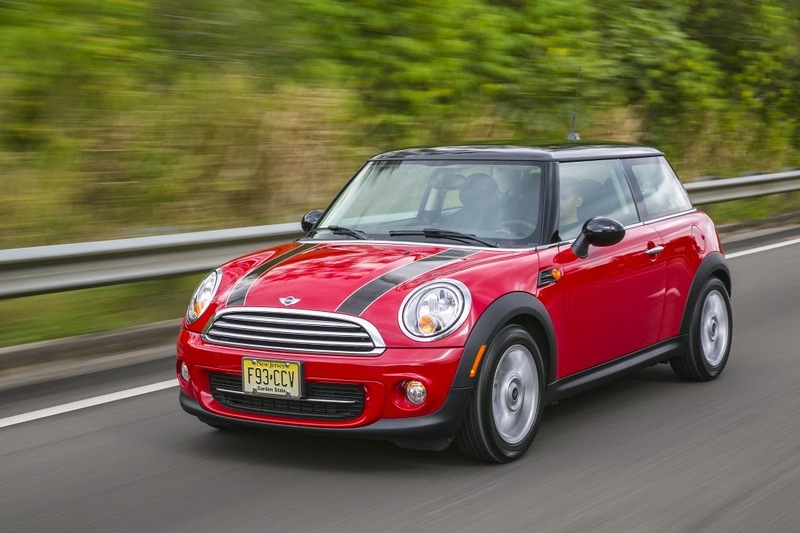 The Mini-Cooper is a very small car, but I was grateful for the ride.